There are probably 150 kids in the 1st grade at my daughter’s school. 150 kids, one playground, and 30 minutes of recess. Needless to say, she doesn’t always get to use the playground equipment. But almost every day my 6 year old comes home talking about some treasure she and her friends found. Isn’t it great to be a kid? When faced with nothing but a tree, a field, and some blacktop, kids can come up with the best games, best adventures, and.. of course, the best ways to get the knees of their jeans muddy. Nature fun can be found everywhere! It’s awesome. But the fun doesn’t stop at school. Any time we go for a walk.. even to the next street over, my daughter’s eyes are wide open, hoping to find more treasures. Sometimes the treasure is just for the journey. Perhaps she wants to start a collection of rocks. Or maybe she is collecting materials to build the perfect fairy house. Sometimes she just wants to dig for worms… and oh my goodness.. she is the champion worm digger. 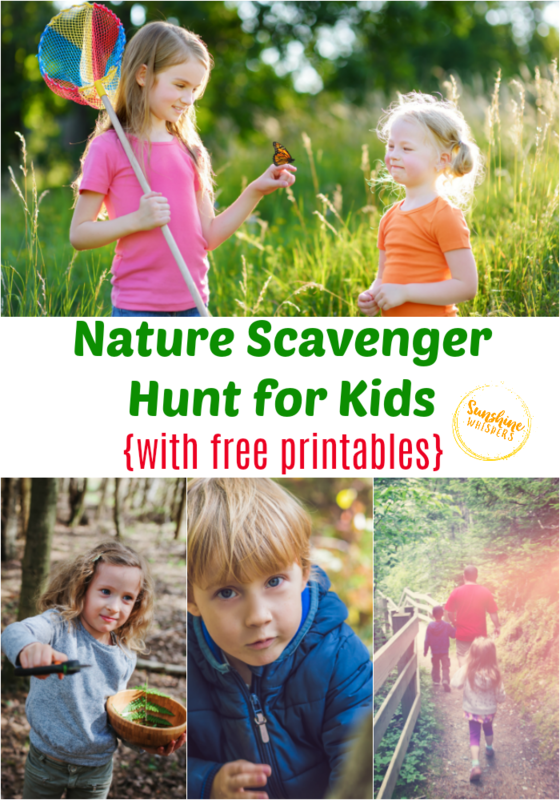 This nature scavenger hunt is perfect for pretty much an outdoor play your kids will embark on. Print this checklist off the next time you go on a walk, or check out a new playground. Most of these items are easy enough to find at any outdoor nature play space or park. 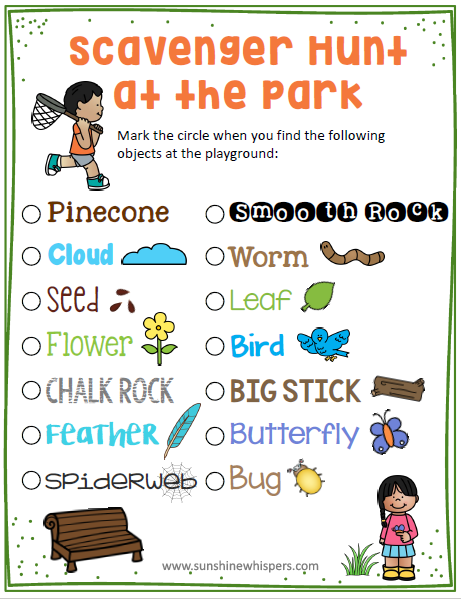 This Nature Scavenger Hunt Printable is actually part of an awesome Playground Challenge Activity Fun Pack. This entire activity pack is designed to encourage you and your kids to get outside and explore! You can read more about the Playground Challenge here. 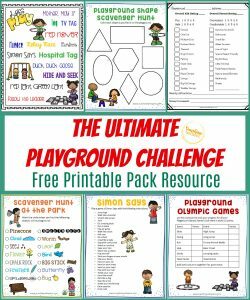 Or sign up now for weekly updates and download your FREE Playground Challenge Activity Pack now! Just click the photo below. Previous Post: « 14 Equipment Free Outdoor Games Your Kids Will Go Crazy For!